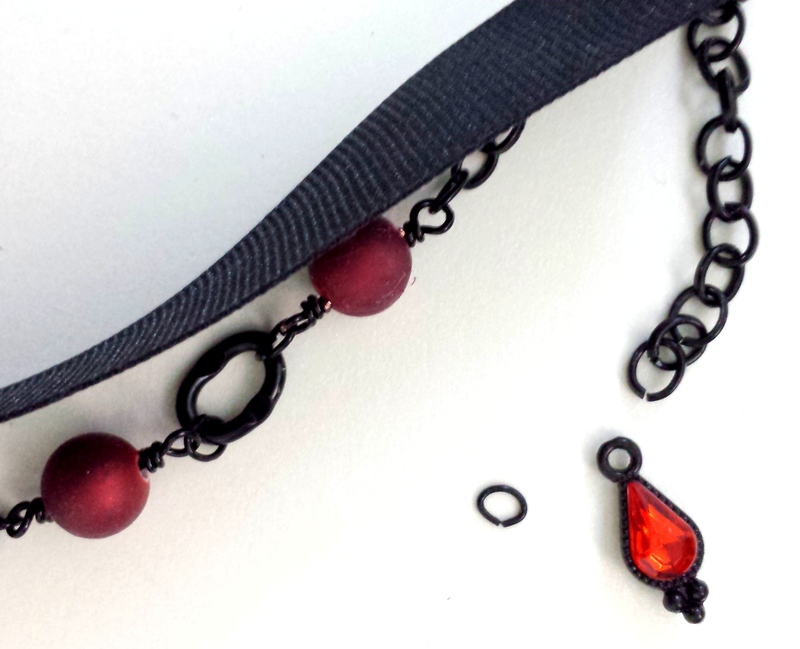 In this new jewelry tutorial we will be making a choker necklace with a pendant drop that has a beaded link chain attached. 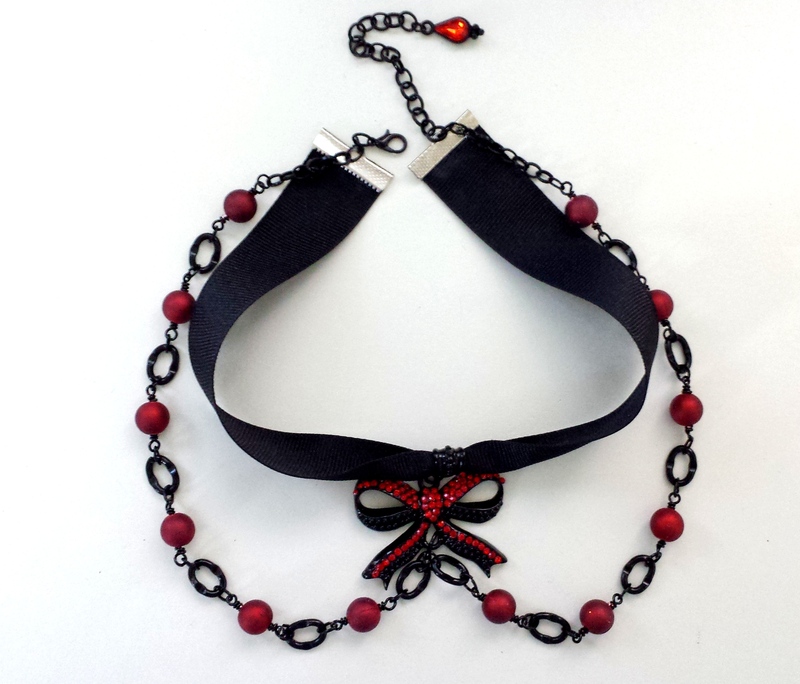 This creates an even more elegant look than with just a simple choker. This will fit a 12 1/2 – 15 1/2 inch neck with its adjustable extender chain. Feel free to use some of what you have at home and create in the colors that you love. 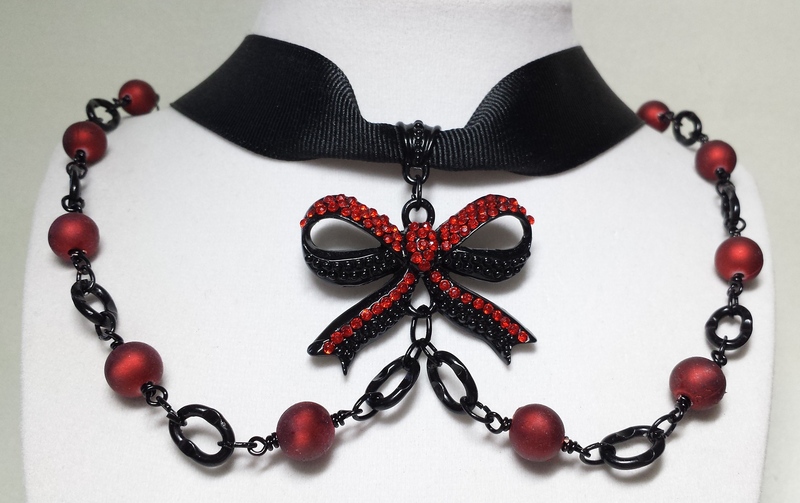 I love the gothic and sultry feel of red and black! A 12 inch length of black grosgrain ribbon, a pendant with both a north and south loops, heavy large oval link black chain, lighter weight circle link black chain, 8mm red beads, 25mm ribbon end crimps, oval black jump rings, black large sliding bail, black lobster clasp, 20 gauge black wire and an optional charm for the tip of the extender chain. You will also need wire cutters, 2 long nose pliers, round nose pliers, scissors and a gel super type glue. You will begin your necklace by cutting a 12 inch section of your ribbon and sliding the bail to the center of the ribbon. Attach the north end of the pendant with an oval jump ring to the bail loop. At each end of the ribbon you will need to attach your end crimps. 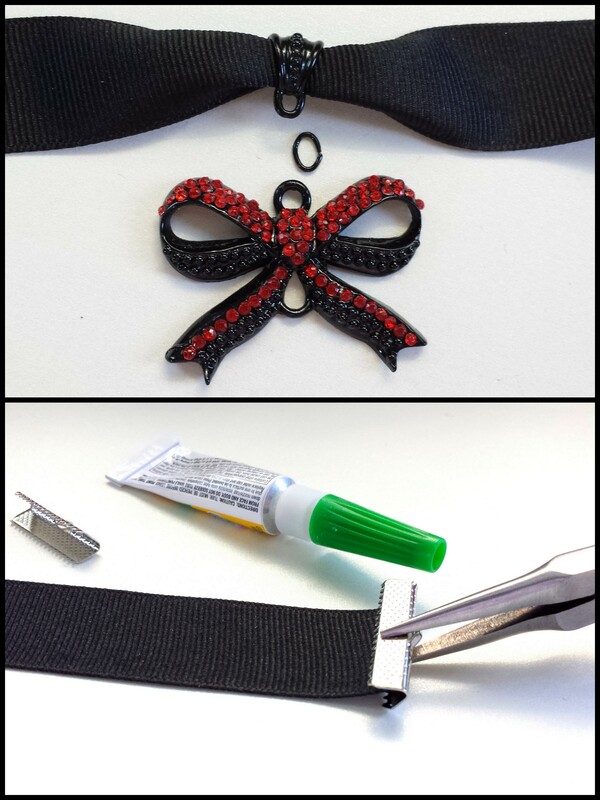 Apply a small amount of glue to the inside of the end crimp and center the ribbon inside. Squeeze the end crimps closed tightly with your long nose pliers. Begin to wire wrap your beads into links. Cut your wire into 2 1/2 – 3 inch lengths and create a wrapped loop at one end cutting off the excess. String your bead down the wire to your loop, make a wire wrapped loop at the opposite end and cut off the excess. You will need about 12 of these. Separate the heavy chain links with your long nose pliers. You will need 12 closed links. 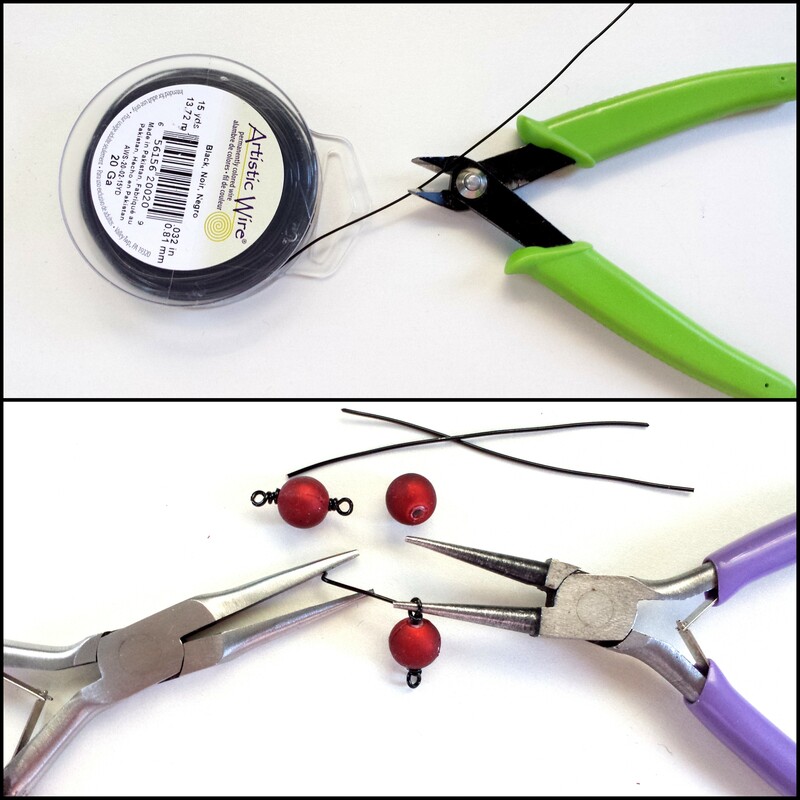 Attach the first link to the south end of your pendant with an oval jump ring. Alternate your bead links and chain links with oval jump rings equally on each side of the pendant making 2 strands. 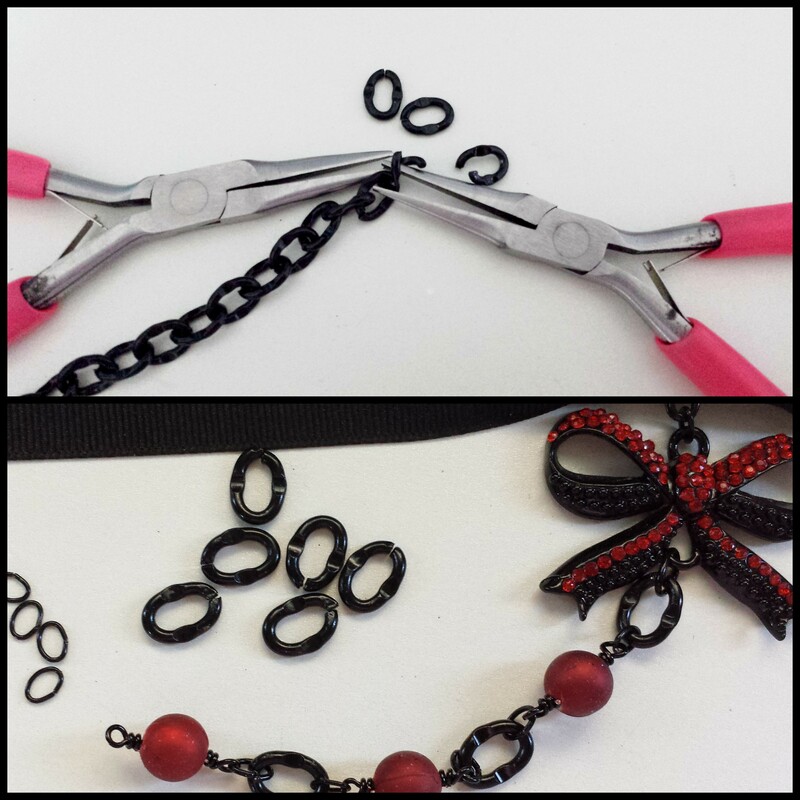 Attach the lobster clasp to the end crimp on one side of your ribbon with a couple jump rings. 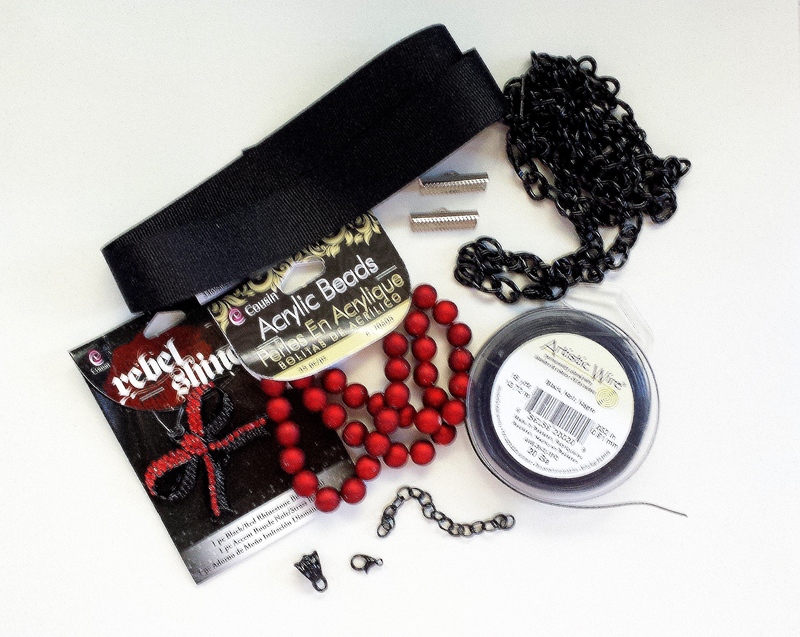 Use about an inch of the lighter black chain and connect one end of it to the end crimp with a lobster clasp and the other end of it to the beaded chain you created. On the other side, connect a 3 inch section of the same chain to serve as an extender chain to the end crimp with an jump ring and repeat attaching the other end of your beaded chain. 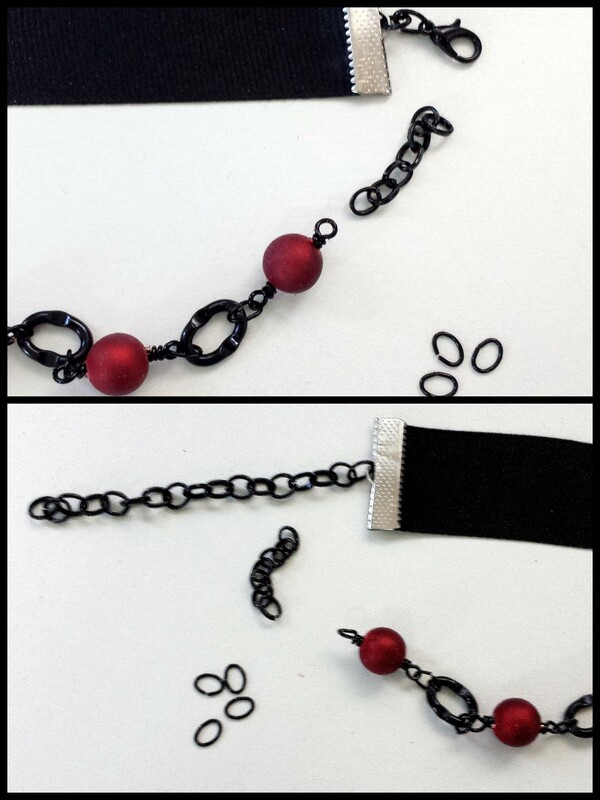 You can then attach a charm if you choose to the end of the extender chain so you can look awesome coming and going. Your necklace is now completed and it was easy! A special thank you to Cousin Corporation for some awesome supplies to inspire me. Thanks for learning, reading and following the Freak Show! Haha, this tutorial is a reminder why I don’t make jewelry- and people like you do. The first step was already past my skill level. Plus, my husbands tool box has none of those tools. Rock on, friend, that’s why you are so good! Thank you Tara LOL! You always make me laugh!